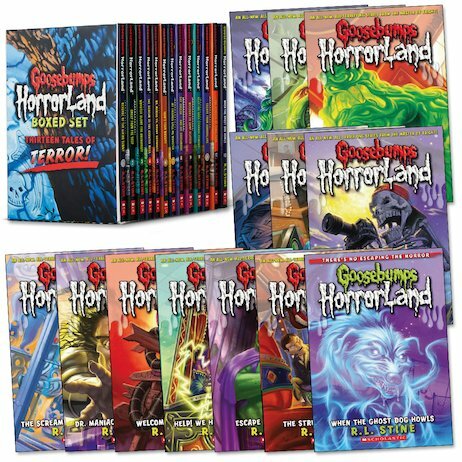 A seriously massive, super-scary boxed set of frights from HorrorLand! Can you survive the terrifying scream park where danger lurks behind every turnstile? From the blood-freezing Goosebumps series, HorrorLand is the amusement park that always lives up to its name! Werewolf Village. The Doom Slide. The Coffin Cruise. Just a few of the terrifying attractions that lie in wait for you. Step up and ride each ride, and scream each scream. It’s deadly good fun – but will you survive the excitement? Visitors beware. You’re in for a scare!